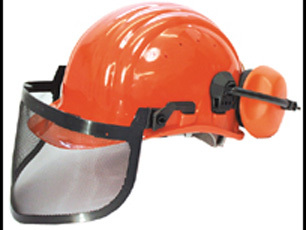 Orange vented safety helmet with multi-positional ear muffs and nylon mesh visor. Delivery of this item is FREE to mainland UK addresses (Highlands and Islands extra). Please allow three to four working days for delivery.